The showman is Eduardo Verastegui (Bella) and the man without limbs name is Nick Vujicic. The ladder is a famous speaker of hope and change. The short film won several awards in the Best Short Category & Audience Favorite Category at the Heartland Film Festival, Palm Springs Short Festival, Ashland Independent Film Festival and Grand Prize winner at the Doorpost Film Project. Again, “Butterfly Circus” is very well done, beautiful score (music) and the story is very heart warming. Wanted to share some good clean media films such as these. The creators are working on making this into a feature film. Give it a watch and tell us what you think below! Wow! What an amazing video. Thanks for sharing. There are so many inspiring stories surrounding the great depression… stories of hope and goodwill… thanks for sharing this wonderful story.. I am not familiar with this film and I think this is one of the best too.. I want to give this a try..
That’s a great piece of work by Joshua. 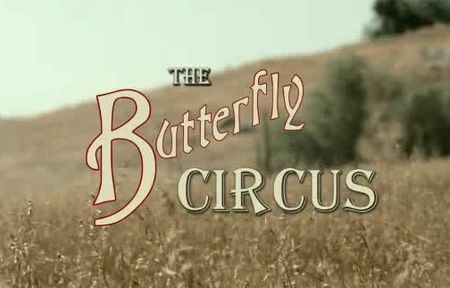 Butterfly circus is a short clip which portrays how the life of a hopeless man changed after his enthralling encounter with a showman of a renowned circus who help him to recognize his own potential. Why hasn’t the world heard of Butterfly Circus? This is the best short film I’ve seen online. What an absolutely amazing clip. The revelation that man had after seeing the circus was potent. Thanks for the share!